Rising Moon Books, 9780873588911, 32pp. It is 99 degrees at Camp Oogie-Waa-Waa, and Aunt Tallulah's latest goody package for Bettina has arrived from Antarctica. Will it be another long fluffy scarf? A pair of six-fingered gloves? A nice, warm hat? 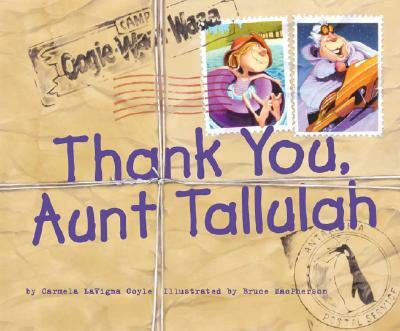 Everybody should have an Aunt Tallulah - maybe some of you do Through a series of hilarious mishaps, Bettina and her Aunt Tallulah are ever so appreciative to have each other. Flollow along as love, silliness, and surprises are exchanged through the mail between Bettina and her nutty aunt in this wonderful story.